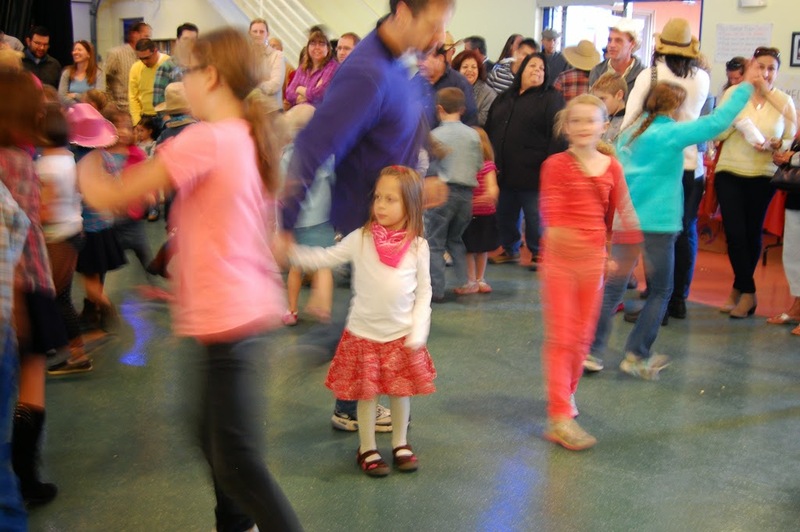 Last night, we attended the annual square dance event at the LB's school. He is a second-grader and we've been going to the square dance since he started kindergarten. It's always really fun, the first big school-wide event of the year. It's a great chance to see old friends and have a little catch-up, and to chat with new friends too. 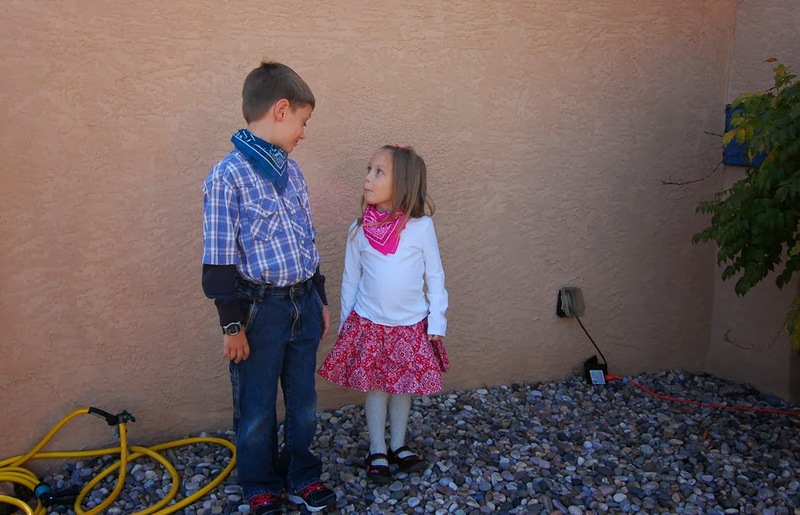 The small Bears wore their western-style finest; the LB wore his "cowboy" shirt and the GB wore a little bandana-print skirt I made for her last year. Both wore bandanas around their necks. The Bear and I don't really have anything western-style at the moment but we're thinking about finding something for next year. 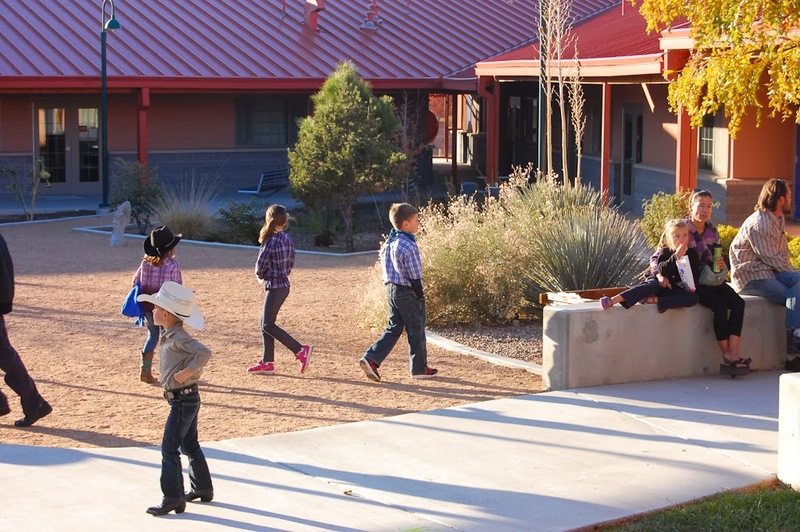 This year, the weather was much cooler than it has been for the previous two square dances we have attended. It was windy too. This meant that more people square-danced than we've ever seen before; they wanted to be indoors where it was warmer. The school holds the dance in the "multi-purpose room," which is a gymnasium/cafeteria/auditorium, depending on what it's being used for. We had a real square-dance caller, the same lady who comes every year. Over the past few weeks, the kids even had a few lessons with her so they'd be ready for the dance. 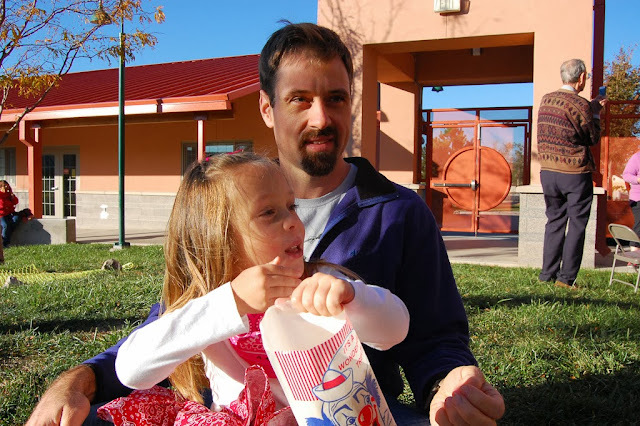 The LB mostly ran wild with his friends outdoors in the school courtyard, but the GB wanted to dance a little; she and her daddy did some good do-si-do'ing and participated in a reel dance. The refreshments are one of the most exciting parts of the square dance. 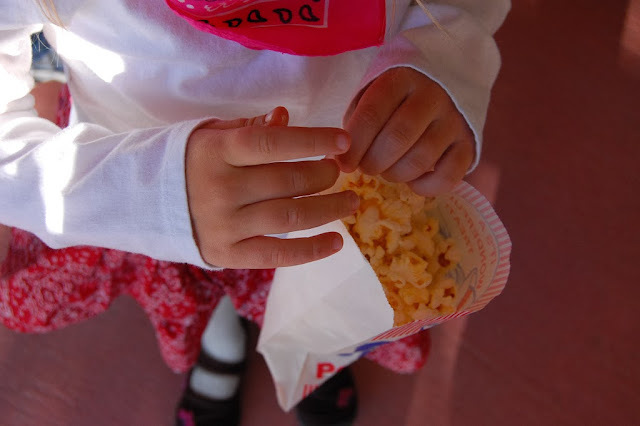 For a nominal fee, one can purchase popcorn, caramel apples and cotton candy. We bought some of each and everyone partook. There were very sticky hands and faces, but that's part of the fun. I brought my caramel apple home and ate it later in the evening. I haven't had one since last year - in fact, I usually only eat one per year, and I'm always worried about my dental fillings while I eat one - but it's a nice treat. They were made with small, tart Granny Smith apples so they tasted perfect. We came home, washed them up and they practically fell into their beds. They seemed to fall asleep instantly. This family concurs: there's nothing like a crisp fall evening with friends, music and dancing and delicious treats. I have never been to a square dance in my life! They always look like they are loads fun! Throwing in the autumn food and I'm sold! It's been years since I had a candy apple, seeing your son eat one makes me want one! Looks and sounds great fun Jennifer.The kids had a ball I bet! 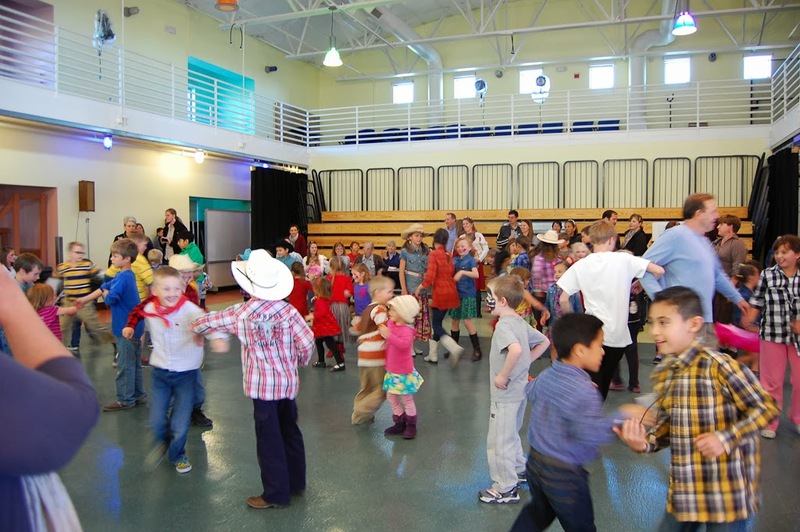 I remember square dancing at school when I was a kid. I think its great that they still teach it. Looks like good family time. Enjoy your weekend! That looks like such good fun, and it's great when all ages can have a get together like this, something that everyone enjoys. Oh this is wonderful! Looks like a great time, with some yummy goodies. :) Your kids looked absolutely adorable. That looks such good fun and lovely to see so many people joining in too! Looks like a wonderful evening. What a great idea to have a big event like that that everyone can attend together. I'm sure the little bears had such fun - I'm not surprised they were tired! Hope your Sunday is lovely too Jennifer. What a fun event! Everyone looks cute and seem to be enjoying themselves. What absolute fun Jennifer! Your Bears all look so happy and cute, including their Dad! I'm lots older so am allowed to say that, haha! 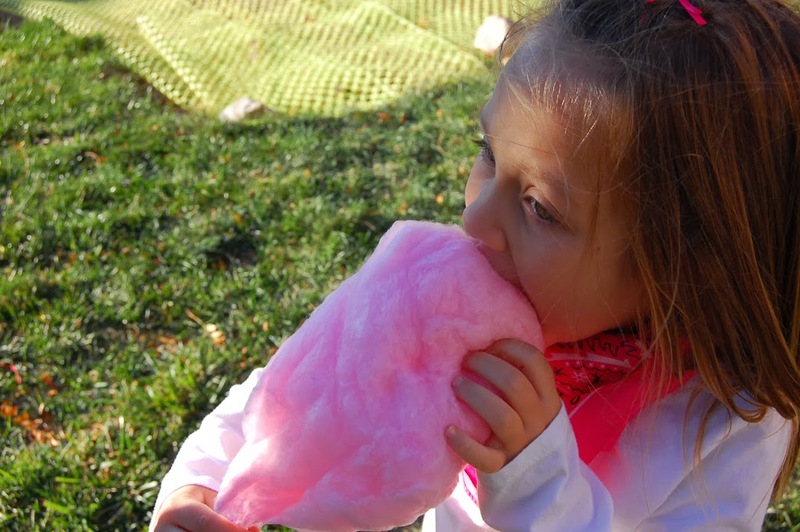 I so remember enjoying candy floss and toffee apples, and good times spent with family and friends long ago. Thank you for sharing your lovely pics. That looks like so much fun! I love your kid's outfits for this event. Your daughter looks a lot like you in the above photos. How cute are your kids!!! That shot of them in their western outfits is adorable! And I think this is a great idea for an event! So much fun! I am glad that you all had a wonderful autumn day...perfect!!! Glad you had a fun night out with the family. How sweet your children are and loved seeing your photos. Looks like a fun night out! It was an early one for us so we could get up and get Matt to the airport for 5am. All done and he's arrived, ready to play rugby in an hour or so! That sounds like so much fun!! It's like the old ceilis that they used to have hear where all the people from the village would get together and do some set dancing. Sadly it doesn't happen very often now. The Irish seem to have moved on from a lot of their old traditions. It looks like such a fun evening. I love all the family photos. 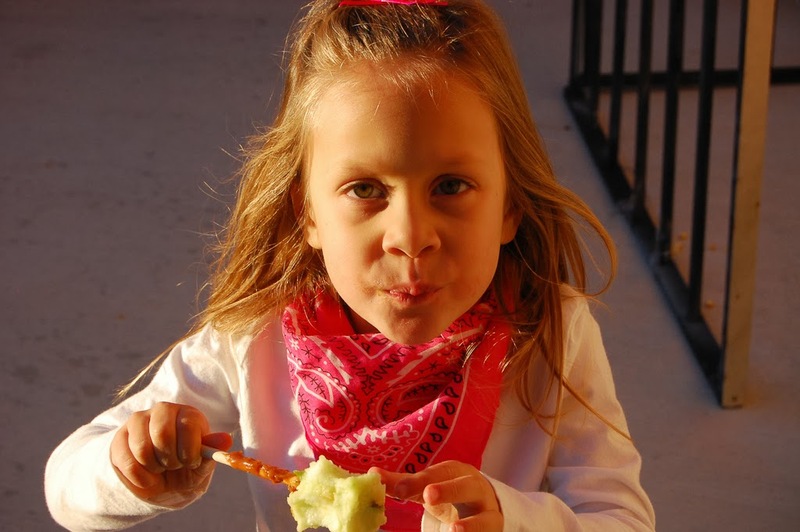 Your children are so cute and they look adorable all dressed up in their western attire. 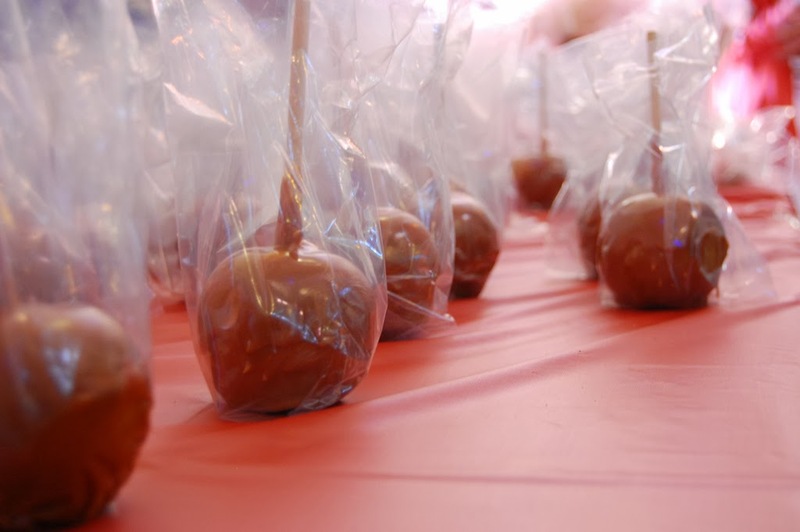 And the caramel apples look delicious - I haven't had one of those in years. It all sounds wonderful :) And they both look so cute! The leaders at LB's school have started a wonderful tradition! 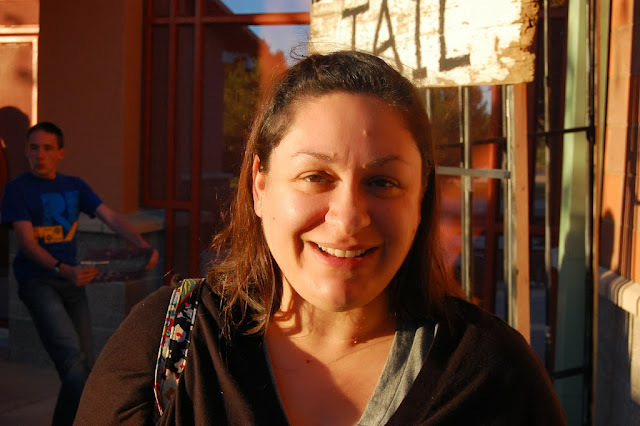 Thanks for sharing the fun with us, Jennifer! I hope that your post will spark the interest of others to launch similar events in other locations. What a lovely fun family evening! Your photographs have captured everything beautifully too. These photos are so darling! They remind me of a square dancing event that my school put on when I was in either grade 1 or 2 (I remember being partnered with the homely son of one of my mom's friends, when I much rather wanted to be with one of the boys I "liked", in that way little kids crush on each other). Loved the dancing and that we got to wear cowboy/girl ensembles to school, but still wish I'd been partnered with someone I liked more. Isn't it funny how things like that stick with us for the rest of our lives? Fun , my parents use to compete in square dancing !! What a great night, sons like you all had fun. This post brings back happy memories. As a child I went with my parents to Butlins Holiday Camp for our annual holidays. My parents loved dancing and it was a big thing at the camps. You could even hire costumes for the Square Dancing, I have photos of me in my big hat! Last week i bought a checked skirt from the cs and DH asked if i would be Dosey Doe'ing in it! Her skirt is too cute! We had to take square dancing for two years in grade school :) I think everyone did in the 80's, fun times! 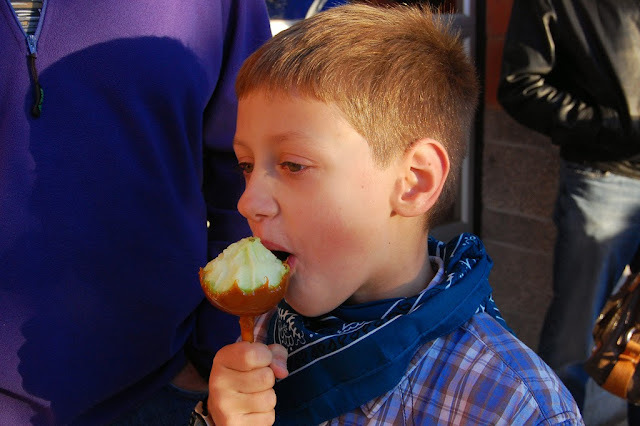 It looks like a lot of fun, I love the caramel apples, my favorite fall treat! !